As the mob rumbles the fact that wind and solar can’t replace conventional generators, RE zealots can only mutter about ‘mega-batteries’. Mass load shedding in Victoria and South Australia – following dramatic collapses in wind power output – left hundreds of thousands sweltering and fuming at just what’s been done to our once reliable and affordable power supply. The chaotic delivery of wind and solar is said to have its solution in enormous lithium-ion batteries, of the kind peddled by Californian carpetbagger, Elon Musk. He managed to offload one unit in wind power obsessed, South Australia, collected $150 million, and was never seen again. Here’s Donn Dears dealing with the insane cost of redelivering trivial amounts of electricity using Musk’s mega-battery. 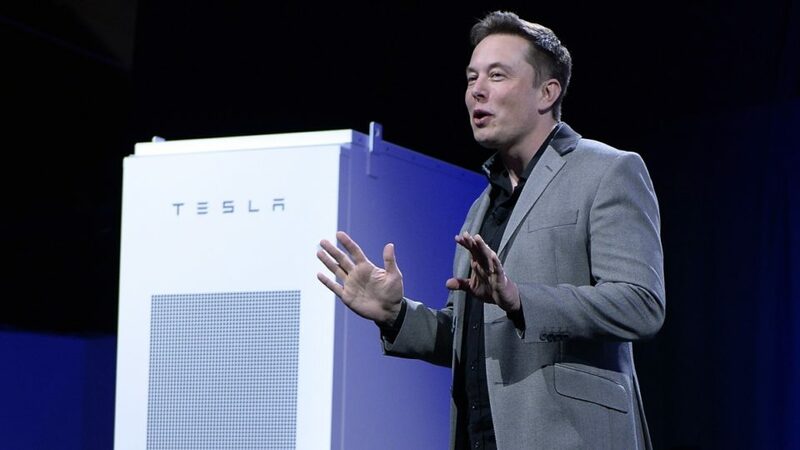 South Australia installed battery storage supplied by Musk for an estimated cost of $150 million. With a rating of 100MW/129MW, the storage can, on the face of it, provide 100 MW for approximately 1hour 18 minutes. However, the battery is partitioned into a 70 MW and 30 MW section where each provides different services, such as frequency control or storage. Another person observed that the South Australia 100 MW/129 MW battery could provide South Australia’s electricity needs for four minutes. Whether precisely accurate or not, this estimate demonstrates the futility of believing renewables, i.e., wind and solar, can supply 100% of the world’s electricity. It’s not that storage is useless, it’s not, because it can provide power for short periods of time and also provide auxiliary services such as frequency control. What it does highlight is that it is futile to think that storage will allow wind and solar to replace fossil fuels for generating electricity. It not only cannot replace fossil fuels, the costs are astronomical for even attempting to replace a large percentage of fossil fuel generated electricity. The purpose of this article is not to provide precise cost estimates, but to illustrate in simple terms how much it is likely to cost if the world were to try to eliminate fossil fuels and rely entirely on wind and solar for generating electricity. This article is an overview of the steps required to attempt to achieve a grid that’s supplied 100% by wind and solar together with a look at the cost of doing so. The current cost of Li-Ion battery storage is around $200 / kWh. This is based on the cost of Li-ion batteries used in battery-powered vehicles, such as the Bolt or Tesla. Assuming the cost can be cut in half, the cost of storage using Li-ion batteries would be $100 /kWh. The United States consumes 3,911 billion kilowatt-hours annually or an average of 11 billion per day. The cost of storage to supply this amount of electricity for one day, when no other source was available, would be $1.1 trillion, or $2.2 trillion at the current cost of Li-ion batteries. To ensure the availability of electricity, there would have to be enough storage to provide electricity for several days when solar and wind power were not available, such as for cloudy and windless days. Is it credible there could be an entire week without sun or wind, such as during the winter? Yes, so more than a week’s supply of electricity would have to be stored to try to ensure reliability. For purposes of this exercise, we will assume that ten days of storage would guarantee availability of electricity, in which case the cost would be $11 trillion. This is based on average demand, but daily demand peaks above the average with the daily peak typically higher in the summer than winter. As a result, storage costs will be substantially higher than $11 trillion to meet peak demand, or approximately $18 trillion. The cost of storage would be six times California’s GDP of 2.7 trillion, which is the fifth largest economy in the world … Repeated every ten years, the life of the batteries. But this is only part of the story since there would need to be a surplus of solar and wind generating capacity for recharging the batteries after they have been depleted. The amount of additional investment in wind and solar generating capacity would depend on an evaluation of whether it’s possible for there to be another period of cloudy and windless weather immediately following a ten-day period where electricity couldn’t be generated. It’s conceivable that it would be necessary to double the capacity of installed generation to ensure the ability to recharge all the storage batteries. It would cost $4,940 billion, using the following assumptions, to double the installed generation capacity in the United States. Capacity Factor used for estimating required new wind and solar generation to replace 988 GW of power generation from other sources was a conservative 20%. This assumes a roughly even amount of solar and wind capacity. While solar can be fairly predictable, it’s impossible to predict when the wind will blow so there will probably be greater reliance on solar resulting in a larger investment. Depending on assumptions about risk and reliability, it’s possible only 30% additional capacity would be required, which would bring the cost of increasing generation capacity down to $1,480 billion. Therefore, the total cost for storage and new capacity would be nearly $19 trillion. This is three times the total U.S. federal, state and local revenue in 2017 of $6.08 trillion. It is also nearly equal to the US National Debt of $19.9 trillion. The above costs are merely for the United States. Worldwide electricity consumption is about five time that of the United States, i.e., 21,153 GWh compared with 3,911 GWh for the United States. Worldwide costs for relying solely on wind and solar would, therefore, be about 5.3 times U.S. costs. Install sufficient battery storage to meet peak demand for the entire area covered by a grid. 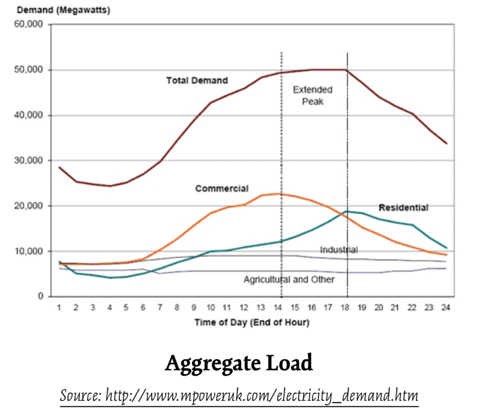 The storage must be large enough to supply electricity for an extended period of time when demand can’t be met by solar and wind power generation. Install enough new solar and wind power generation in excess of daily needs to fully recharge storage batteries. Provide sufficient storage for ancillary services such as frequency control. Several costs have been omitted from the above estimates. For example, there is the cost of building additional transmission. It does not include any increase in electricity consumption which could result from supplying electricity to people who currently don’t have an adequate supply of electricity, such as those in undeveloped countries, or for using battery-powered vehicles. Assumptions about the amount of storage required and the amount of additional capacity needed to recharge batteries are crucial for determining an acceptable level of reliability for the United States. The above estimates are conservative and the actual costs to ensure required reliability are probably higher. 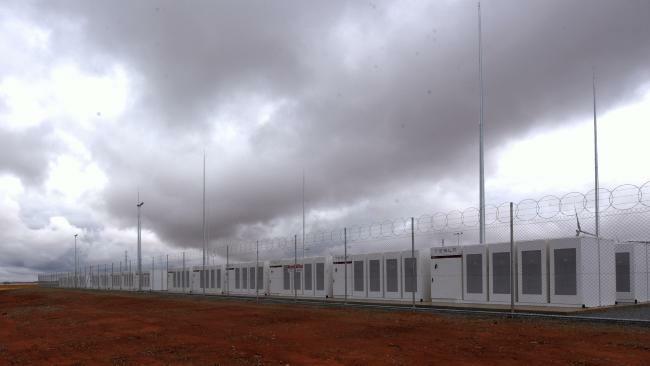 $150m for 4 minutes: Musk’s mega-battery, Jamestown SA. This morning at approximately 8.50am EST SA was producing 49MW of wind power or 3.67% of its stated capacity, Vic 366MW, NSW 100MW, Tasmania 260MW and Qld 38MW. RenewE was showing that the total of all energy production for SA was approx. 769MW Vic 5104MW, NSW 7420MW, Tasmania 824MW and Qld 7381MW. The corresponding total demand was as follows: SA 1277MW, Vic 4264MW, NSW 7701MW, Tas 1165MW and Qld 7082MW. Hornsdale Wind Project which is the one which provides for the ‘big’ battery was producing zilch – nothing, nor were the other two Hornsdale sites and in fact nor were 12 of the other wind projects in SA, which meant only 4 were producing something. Battery’s or any other system which requires topping up from wind or even solar to ensure we have electricity when we need it, is useless as you cannot control a natural phenomena such as the wind or when the sun will shine (during daylight hours). From the above it can be seen that the only State that was meeting and exceeding its requirement in energy was Queensland and which source does it rely on – coal of course. The extra was being sent down ‘stream’ to keep everyone else’s lights on. Interestingly at the time when SA’s Hornsdale was not producing any wind RenewE was showing that there was a ‘demand’ for the battery to be charged!!!!! If you look at the following site: https://anero.id/energy/wind-energy you can go to the tab ‘sources’ and see just how often the battery is used, yes it may have stopped some catastrophe from occurring, but these graphs show just how debilitated and uncertain our energy supply really is and how we are living on the edge of constant total blackouts. If our Federal and State Governments don’t wake up and accept that reliable energy is something that cannot be tossed around like a child’s plaything – buts has to be treated in and adult and responsible way we will go Black again and again and again. You are missing the main point of the battery and that is to make lots of lovely money…..money, money, lovely money. The battery charges up when prices are low, sometimes prices are negative so we pay them to charge the battery and then they discharge it at $10 to $14/kW. Its the goose that lays the golden egg. Another example of the fiscal masterminds who live in my state of South Australia we dynamited our 21 year old 540mw brown coal plant and replaced it with mobile gas/diesel 480mw OCGT they use over 10000 litres per hour so very expensive….. Without government subsidies, wind fails. The world will not end if we in the West reject wind power. China and India, the biggest emitters of CO2, are not going to cut their emissions. (China is busy building more coal fired plants!) But, more to the point, the manmade global warming scam is just that – a scam. Bear in mind also that these eye-watering sums of money spent on you-beaut batteries would have to be repeated after only ten years which is the normal life expectancy of lithium batteries. For a only a small fraction of the cost we could have reliable nuclear or coal power of larger capacity and with a plant life of 40 or 50 years? The cost to the USA would be “nearly equal to the US National Debt of $19.9 trillion”. Therefore a doubling of the US national debt. If that were to happen the value of the US dollar would fall, in fact the US dollar may lose it’s status as the world’s reserve currency therefore reducing the value of the dollar even further. These figures are mind bogglingly huge. La La land comes to mind. And world wide, heaven help us. As the Green Left would say just borrow the money from the bank. Problem solved world saved.